We have proudly served the Findlay area since 2008. We have proudly served the Findlay area since 2008. Throughout this time, we have maintained, nurtured and enhanced a tradition that forms the very foundation of our approach to delivering our services to our families, friends and neighbors—a tradition of caring. (Regarding therapy during a short term stay) You didn’t let me give up. You really made me work to get better so I could go home! I was most impressed by the friendly staff and hard workers at St. Catherine’s Manor. St. Catherine’s has exceptional discharge planning and assistance with getting back into the community. I want to thank everyone at St. Catherine’s Manor where I recently stayed for 29 days during rehab. What a wonderful group of people. I didn’t want to be there but they immediately began to make me comfortable. I saw the physical therapist the first day and she knew what to do. I knew then this was the right place for me to get better. All the therapists are very good and so nice. 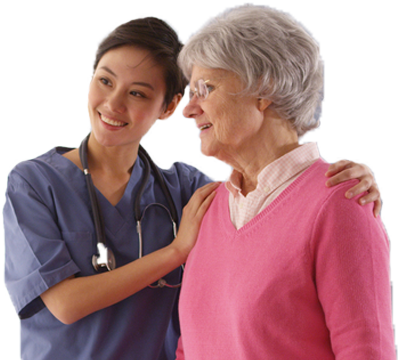 The nurses and aides are always friendly and go beyond what they need to do. If I need therapy again my choice will be St. Catherine’s Manor.